When people think of landforms they may imagine the gaping Grand Canyon or the piercing Rocky Mountains. As mountains shift and bedrock erodes, landscapes change. These changes at times can yield dramatic results. While Kentucky's hills and plateaus do not receive as much attention as larger landforms, they do not lack drama or beauty. The study of landforms is called geomorphology or physiography. When describing different landforms, geologists refer to an area's physiographic region. Kentucky is divided into several physiographic regions, one of which is named the Knobs area. Hundreds of hills run through this crescent-shaped area that occupies the north central region of the state. The slopes are composed of slate deposits that are capped with limestone and sandstone. Over thousands of years the slate has eroded leaving the sandstone- and limestone-capped hills behind. 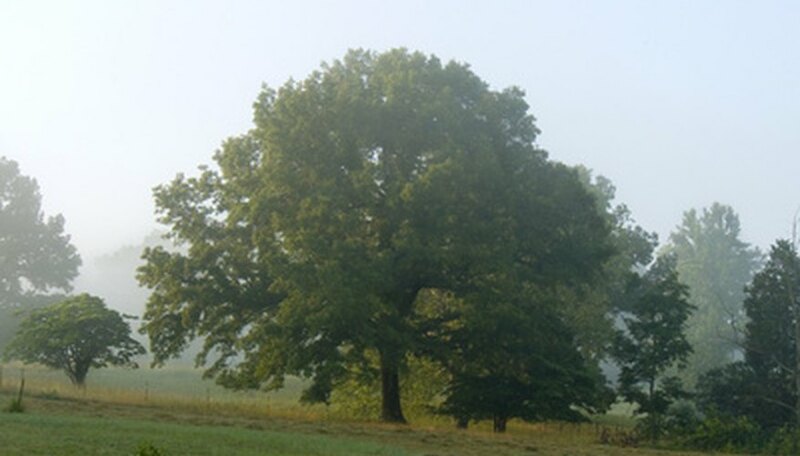 Kentucky's Bluegrass region is bordered on the southwest by the Knobs and to the north by Ohio. Its eastern boundary is another Kentucky landform, the Eastern Kentucky Coal Field. The Inner Bluegrass region is composed of rolling hills and fertile soils. This lush region is a prime location for horse racing and training. Other features of this piece of limestone-based earth include sinkholes, springs, caves, the Kentucky River Palisades and the state's oldest dolostone rocks. The Cumberland Plateau is a physiographic region situated in areas of northeastern Alabama through Pennsylvania. The Kentucky region of the Cumberland Plateau is called the Eastern Kentucky Coal Field. This region is home to many state parks and features such as the Red River Gorge and Cumberland Falls State Park. Natural bridges have formed from eroded limestone. This area of Kentucky is home to the region's highest elevations. The Western Kentucky Coal Field, on the other side of the state, is smaller and does not hold the same visual interest. It does, however, hold an industrial interest. The western side of the state, below the Bluegrass Region and the Knobs, is an area described by geologists as karst terrain. The area features a limestone plain pocked with sinkholes, springs and caverns. Carter Caves State Park is in this region. The state park is home to soluble limestone that water has shaped into caverns and underground pockets -- some as wide as 100 feet.